Impro training, leadership skills and social intelligence master class, while meeting other ambitious creatives in Budapest! 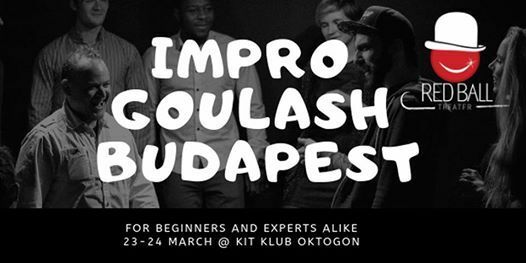 Impro Goulash is a new format inspired by Hungary's spicy creativity and the result is a 50-minute performance of organic improv, based in physical rather than verbal scenes. With all performers on-stage at-all times this is a true test of your skills and commitment to each other. This is a team-building, master course in improvisation, and self-development program all-in-one. It will challenge you whether you are a complete beginner or years-long expert in improvisation. It will develop your social intelligence and allow you to break long-term patterns in how you interact in team-situations. Through concepts like "The Pause" you will learn to take leadership as you become more aware of your team-mate's emotions and needs. Using techniques from improvisation, clowning and social meditation we operate on the cutting-edge of team training. 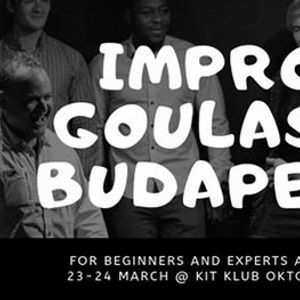 For both beginners looking to dive into the world of improv and experts to fine-tune their skills, this workshop proves to be a melting pot of creativity from the ambitious talent of Budapest. Timing: Saturday-Sunday 23-24 March, 10AM-6PM including breaks. A final performance will occur at 5PM on Sunday.